We all know how popular Facebook, Twitter and other social networking sites have become but other than posting about what we’ve had for lunch, just HOW can facebook and twitter help you communicate with your audience? With a worldwide audience of over a 1.09 billion users every day * facebook is too big to ignore. 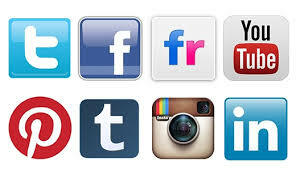 Whatever your requirement ljdigitalmedia can create a platform allowing you to tap into the social media phenomenon. ljdigitalmedia create facebook, twitter, google+ pages which allow you to reinforce your business ethos, inform your audience of latest news and offers and communicate in a direct and meaningful way. From as little as £50 we will create a professional page taking photos of your service or product. This price includes instruction as to how best to feed into the page after the initial set-up period. We do offer a fully managed service.